Watering is important for your lawn to stay healthy and green. Proper watering is even more important. You can have the best lawn care, the best weed control, but if you lawn doesn’t have water, and enough of it, your grass isn’t going to stay green and healthy. In the Rockwall area, we haven’t seen a lot of rain, but we have seen a lot of heat. Well over 100 degrees for several days over the last month. In times like this, watering your lawn properly is even more important. So how do you water your lawn properly? You should water your lawn regularly and it is best to water before 10am. If you have an irrigation system, set it up to come on at 4am or sometime in the early morning. Depending on the number of stations and the amount of time per station it can take an hour or two for the entire lawn to be watered. Watering earlier in the day allows the water to soak deeper in to the grass and soil and prevents evaporation. You also don’t want to water too late in the day. If you water after the sun is down or when it is close to sunset, the blades of grass don’t have enough time to dry. This can cause disease in your lawn. This is a tough question. In general you’ll want to water so that 6-8 inches of the soil is moist. Typically a lawn will need about an inch of water a week to stay healthy. So, if you have an irrigation system, how long should you set it for? That depends on the types of heads. If you heads rotate, you’ll need to run those longer, maybe 20 minuets, depending on the amount of lawn they cover. If you have pop-up heads that don’t rotate, 10 minuets will probably work. Each lawn is different, so it is important to monitor your lawn, how much water it receives, how much runs off, etc. to best gauge the watering needs of your lawn. You can do a few things to estimate the amount of water your lawn receives. You can use a “can test” to see how much water is put on the lawn. Simply put a can out in the law, run your sprinkler system or turn on your watering hose and wait 10 minuets. Then check to see how much water you received over that time. You can also use a water gauge. 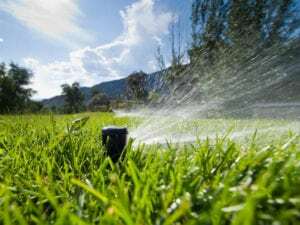 If you happen to know the square footage of your lawn, you can do some fun things with math to gauge the amount of water on your lawn from your irrigation system. You can take the square footage of your lawn, multiply it by .62 gallons and then divide by your flow rate on your irrigation system. This will give you the amount of time to water your lawn. Lawns can survive without water for weeks. They will turn brown and appear to be dead or dormant. Once they receive the needed water, they should return to their healthy green color. 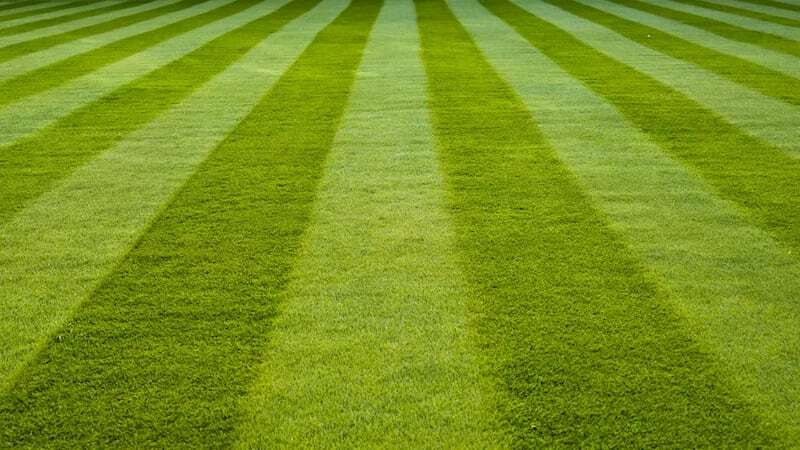 We provide lawn care and weed control in the Rockwall area and would love the opportunity to help you in your lawn needs.